Having a headache, especially when you don’t expect it, can turn very easy task to something very difficult and painful. Essential oils for migraines can give you quick relief from this pain. Here are a couple of essential oils that can help you out. Eucalyptus essential oil has a substantial amount of the oxide 1,8- Cineole. This oxide has anti inflammatory and expectorant properties. Hence, eucalyptus essential oil can ease headaches, especially those connected with sinus headaches. You can also use helichrysum essential oil, which is considered to be a strong anti inflammatory agent. 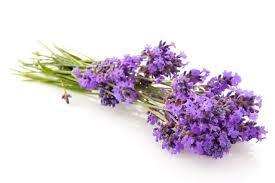 Lavender essential oil also has a high amount of linalyl acetate or esters. Thus, it provides sedative and anti inflammatory features. Lavender essential oil is a great essential oil to use if you want to decrease the symptoms of a headache in the evening or night time. Essential oils for migraines and headaches can be used for healing therapy. Just use this simple aromatherapy headache massage recipe. First, you would need an ounce of carrier oil, either sweet almond oil or jojoba oil. Then, you also need ten to twelve drops of your chosen essential oils. If you are using eucalyptus essential oil, peppermint essential oil, or spearmint essential oil, just use six to eight drops. Lastly, you also need an ounce of cobalt or amber glass bottle with an orifice reducer insert. Put together your carrier oil of choice and essential oils inside a bottle. Then, gently roll this bottle in between your hands. This would mix the carrier oil and essential oils. So you can begin using your mixture, put in one to four drops on your fingertips. Massage this to your forehead, the back of your temples, and the back of your neck. Make sure you don’t get the oils near your eye area. You can diffuse and breathe in essential oils for sinus headaches. If you want to use a diffuser, pick an essential oil and place a couple of drops to your diffuser, based on the instructions of the manufacturer. If you do not have a diffuser, just place one to three drops of your essential oil of choice on tissue or a cotton ball. Place this tissue or cotton ball near your nose and breathe in. If you are trying this essential oil for the first time, just use a drop to make sure you are not sensitive to it or that you do not react negatively to it as well. The blends you can use are eight drops of lavender essential oil, four drops of roman chamomile essential oil, and an ounce of the carrier oil; four drops of spearmint essential oil, four drops of eucalyptus essential oil, and an ounce of the carrier oil; four drops of helichrysum essential oil, eight drops of roman chamomile essential oil, and an ounce of the carrier oil; and four drops of spearmint essential oil, eight drops of lavender essential oil, and an ounce of the carrier oil.